The Mophie Juice Pack not only keeps your phone powered for upto twice as long - but it also protects your phone from drops and knocks! The Juice Pack range from Mophie can provide your iPhone not just with extra protection but extra power as well when you need it the most and depending which you choose you could power your device 100% longer. 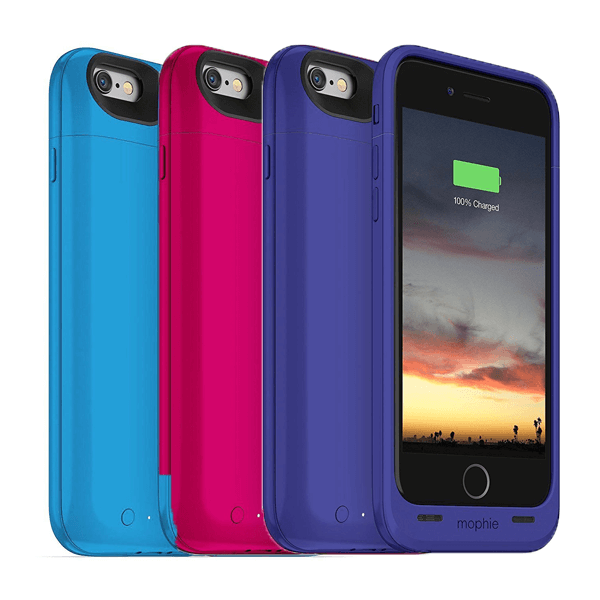 The Mophie Juice pack also offers a high level of protection against drops and damage without adding unnecessary bulk or weight. And durable outer-band rubberised support pads add to the protection offered. And you can keep your power in reserve for when you need it most thanks o Priority Charge and Sync tenchology and the onobard "xtra power" switch - meaning the extra boost is there when you need it.